Australians love their beaches, and so do the rest of the world – but we’re slowly destroying one of the country’s richest sources of life and beauty, as well as a major attraction. Big hotel brands are tackling the problem one step at a time – starting with the simple plastic straw. While removing plastic straws from accommodation may seem like a small contribution to a huge problem, it’s a significant step in the right direction. 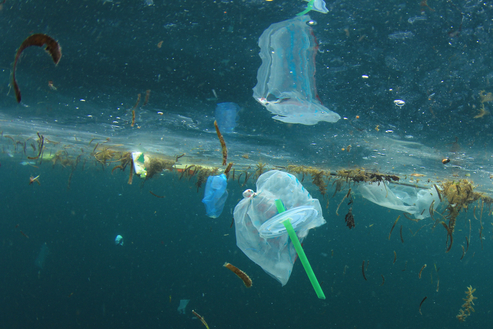 Straws, plastic bags and water bottles are three of the major problem items when it comes to protecting our ocean and sea life, with at least 10,000 tonnes of plastic entering the Australian marine environment every year. Whilst plastic is one of the most defining inventions of our time, its negative environmental impact is too severe to ignore – and it’s not just Australia that’s suffering. Globally, 300 million tonnes of plastic is produced on an annual basis and around 8.8 million tonnes of it gets dumped into the oceans. The throwaway nature of single-use, seemingly harmless plastic straws are one of the top two polluters of the ocean, and each straw takes up to 500 years to decompose. The total number of plastic straws used daily is so large that no global usage figures exist. According to parliamentary member for Cronulla in Sydney, Mark Speakman, awareness needs to be raised, and change needs to occur. “Much of the plastic entangles, or is ingested by, marine life and other wild life. It is widely expected that plastic rubbish will outweigh fish in the world’s oceans by 2050 without drastic action,” Speakman said. Anantara and AVANI Hotels & Resorts have recently announced their decision to end the use of plastic drinking straws at all hotels and resorts in Australasia from January 2018. The major hotel brands have announced a companywide decision to eradicate plastic straws at every single property in Australasia, with a view to expand to Europe by the end of the year. Guests to all Anantara and AVANI destinations should now leave increasingly eco conscious. According to the companies, the shift in demand for sustainable travel options means that the decision to end the use of plastic straws was a natural one. It is also a major step forward in achieving wider sustainability goals and contributes hugely to protecting the natural habitats of many endangered species. Both Anantara and AVANI hope to inspire more hospitality operators to follow this lead and to encourage its guests to carry their experiences at the hotels & resorts back home with them and to continue refusing plastic straws in their day to day lives. Initiatives such as ‘Plastic Free July’ have increased the public’s awareness to some extent; however, hotels are well placed to further increase awareness and motivate both locals and visitors. “By taking on the challenge, we can all play a small role in being part of the solution,” Speakman said.